Wine country travel can often be better in theory than practice, with overpriced tasting rooms, heavily trafficked highways and crowded restaurants and bars. Does an oenophile's paradise even exist anymore? While some may pine for the palazzos of Tuscany, for me it's the Willamette Valley of Oregon. 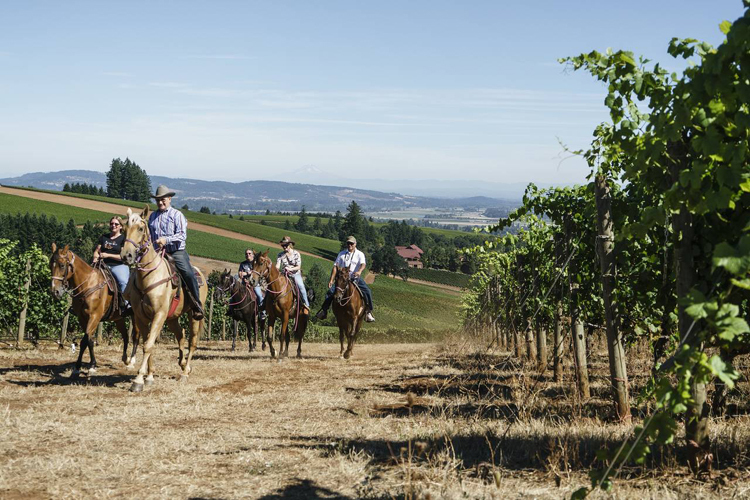 About an hour south of Portland, the Willamette Valley is synonymous with great Pinot Noir. But it has much more to offer: namely, a laid-back atmosphere in which visitors can still meet winemakers in person, eat meals next to famous winemaking families, ride horseback through vineyards and spend the night in a vintage trailer park.